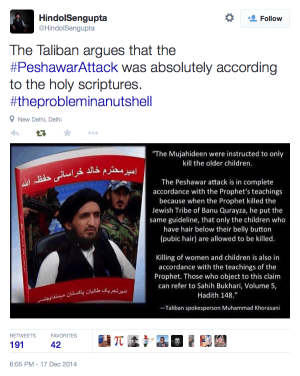 On December 16, criminals disguised as Muslims massacred over 140 people at a Peshawar school, mostly children. Such a targeted killing of children has not been witnessed in modern times. Pakistan, the entire Ummah, and the whole World are mourning and condemning this barbarous act.